Ancient Egyptians held a rich and complex vision of the afterlife and codified their beliefs in books that were to be discovered more than two millennia later in royal tombs. 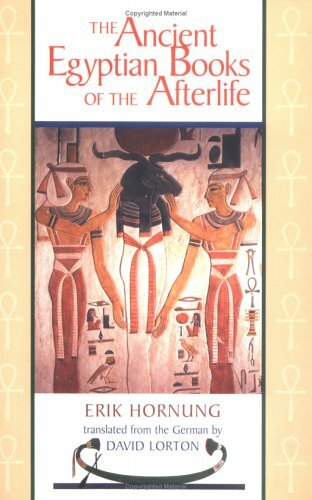 Erik Hornung, the world's leading authority on these religious texts, surveys what is known about them today.The contents of the texts range from the collection of spells in the Book of the Dead, which was intended to offer practical assistance on the journey to the afterlife, to the detailed accounts of the hereafter provided in the Books of the Netherworld. Hornung looks closely at these latter works, while summarizing the contents of the Book of the Dead and other widely studied examples of the genre. For each composition, he discusses the history of its ancient transmission and its decipherment in modern times, supplying bibliographic information for any text editions. He also seeks to determine whether this literature as a whole presents a monolithic conception of the afterlife. The volume features many drawings from the books themselves drawings that illustrate the nocturnal course of the sun god through the realm of the dead.Originally published in German and now available in a fluid English translation, this volume offers an accessible and enlightening introduction to a central element of ancient Egyptian religion.